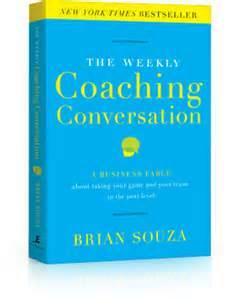 It is rare for me to read an entire book in one afternoon but that was my experience with the just-released revised edition of Brian Souza’s The Weekly Coaching Conversation: A Business Fable. Most of this is the story about a sales manager’s bar room conversations with a coach. Souza set out to write a story that was great, rather than one that’s merely good. Its main message reduces to this: compare most managers with the world-class leaders of high-performance teams and the difference will not be the leaders’ intelligence, strategic vision, or operational prowess. The fundamental, research-supported difference primarily comes down to the leaders’ approach. They don’t act like managers; they act like coaches. Recently I’ve been studying the art of good story telling and the power of stories to motivate people and stimulate change. I’ve become fascinated with how good writers or speakers tell their stories and use these to teach lessons that have a lasting impact. Of course nobody has done this better then Jesus. But modern writers like Ken Blanchard, Patrick Lencioni, Donald Miller and others (that you are encouraged to recommend) have the ability to impact even people like me who rarely read fiction. At one place in his story Brian Souza discusses managers who withhold feedback until the annual employee evaluations. Suppose a football coach (or a fitness trainer) did this only once a year. How effective would this be? If you want to impact and build people there needs to be coaching at least weekly. Research supports much of this. Problem is, most managers and trainers don’t know how to coach effectively. And they have no idea how to turn others into coaches. What a challenge for those among us with a commitment to training others to manage, teach and lead through coaching. Newsletter 609 – Can the Blue Like Jazz Guy Impact Us? Have you read Donald Miller’s book Blue Like Jazz? Probably most of my friends would answer yes, especially those who are younger. This might be described as an easy-going book on Christian spirituality written by a young guy who definitely was not traditional. I read the book when it first appeared and followed up by reading most of Miller’s subsequent volumes. I gave away copies of his Million Miles in a Thousand Years and most who read it liked it. 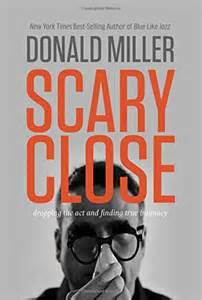 Last month when I read Miller’s latest book, Scary Close, it was clear that the now 43-year-old writer had matured. I missed the laid-back nature of Blue Like Jazz but was inspired as the author chronicled the journey leading up to his recent marriage. This is an honest book about one man learning what it means to grow in intimacy. For quotations from the book do an Internet search for Scary close quotes. 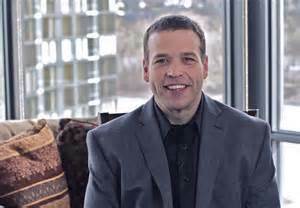 In the midst of my reading I watched a video interview with Donald Miller and discovered that he has become a businessman, running seminars about how to tell good stories and use stories on websites and in business. His web site (www.storylineblog.com) even offers a free ebook titled How to Tell a Story. Miller believes that stories can strengthen whatever work we do and enable us to be better communicators. Recently I’ve been learning that good teaching, counseling, coaching, leading, and probably ministry often are about using stories and helping others to rewrite the stories of their lives. Scary Close really is a book about personal and engaging stories that can have an impact. This author who originally challenged and amused me has changed into more of a teacher who can guide us all. He makes references to the Bible and is not afraid to write about Jesus. Please tell us how stories have impacted you or your friends. If you’ve read Scary Close or other Miller books please let us know your reactions by leaving a comment. One last thing: A big thank-you to all who responded to my request for input last week. If you intended to comment and did not, there still is time to shoot me a message. I’ll give a summary later. Newsletter #513 – How Will You Measure Your Life? Every year in December I review what I’ve read and pick my favorite book of the year. Then I order copies as Christmas gifts for a few close friends. In past years my choices have included Visioneering by Andy Stanley, Change or Die by Alan Deutshman, Switch: How to Change Things When Change is Hard by Chip and Dan Heath, and Donald Miller’s A Million Miles in a Thousand Years: What I Learned from Editing My Life. For 2012 I picked How Will You Measure Your Life? 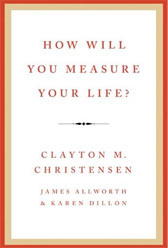 by three authors from Harvard Business School: Clayton M. Christensen, James Allworth and Karen Dillon. Senior author Clayton Christensen is a Harvard graduate and professor. He attended classes with very bright, highly motivated colleagues, many of whom became successful and wealthy heads of corporations, well published scholars, or prominent leaders. But some got derailed. They let their relationships slide, engaged in compromising business practices, and watched as their marriages failed and their careers unraveled. Unwise decisions and poor value choices ruined their lives and landed some in prison. The book (written for students, recent graduates, mid-career professionals and parents) describes ways to prevent these personal and career disasters from happening. Clearly I found the book to be helpful and insightful. In the midst of writing the book Christensen suffered a major stroke that greatly impaired his writing and speaking ability. But he kept going, strengthened by a Christian commitment that he is not reticent to describe even in this secular business book. For me the most inspirational and informative message is the book’s three guidelines for finding a life purpose. These will be summarized in next week’s newsletter. Have any of you read this book? Please comment. 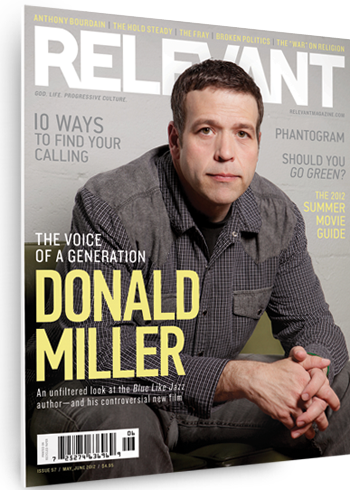 Probably I’m one of the oldest readers of Relevant magazine – a thoughtful, sometimes edgy, Christian-oriented publication geared to readers in their twenties and thirties. The May-June 2012 issue looks at Donald Miller, author of Blue Like Jazz and the recently released film that builds on the book. Relevant calls Miller“the voice of a generation” whose “groundbreaking” memoir wrestled with questions of faith, doubt and worldview. The book “tapped a nerve, gave voice to a restless generation, and helped serve as a catalyst to new ways of thinking and living” and being a Christ-follower. I read the book when it first came out and but was more impacted by Miller’s A Million Miles in a Thousand Years. Here he wrote about looking at our lives and shaping new life stories that could be visions for how we live in the future. Why would this interest the coaches, counselors, leaders and others who read these words? Like most of my closest friends, Miller and some Relevant editors are around 40, looking back on their life journeys and thinking about where they want to go next. Most of us do this more than once as we go through life and so do the people we work with. “When we look back on our journeys, we should cringe from time to time,” writes Relevant founder Cameron Strang. “The things we were so sure of, passions we had, mistakes we made—it’s all part of becoming who we are today” and helping to clarify where we go tomorrow. Into this mix is an interesting article on “ways to find your calling” whatever one’s age. Some of this is basic – the questions coaches and ministry leaders ask often: What are your strengths and passions? What do your friends think you should do with your life? What bothers you so much that you feel compelled to bring change? Add these questions: What brings you joy? What holds you back? Where is God at work where you might be involved? What would you like others to notice about you? How would you like to be remembered? How have you used events or questions like these to help yourself or others reshape their futures? Please comment.